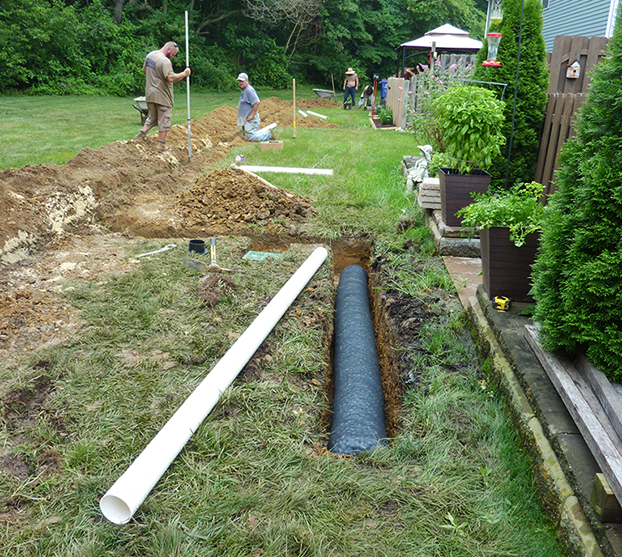 Proper drainage is a critical part of your landscape. It’s essential in keeping your home safe from water damage, mold and mildew. Levanduski Landscapes Inc. implements permanent solutions that are carefully tailored to your specific needs. Our goal is to capture excess water, move it away from your home and then disperse it in a safe manner. We put the newest technology and state-of-the-art equipment into the hands of our highly trained staff to provide unparalleled service and unique-to-the-property solutions to each client.